Lowest Cost of CSM Training in Hyderabad and 100% Practical Value. Complimentary Online Master Program on Scrum & Agile. Expert CST with 20 Years of Agile Coaching Experience. As per 2017 state of scrum report, Scrum is the go-to solution for Complex IT projects. 86% of such projects use Scrum. Organizations are going through Agile Transformation. Major Companies Such as IBM, Wipro, Infosys, TCS, etc. are moving to Agile at a rapid scale. Scrum Masters are leading this change. Half a million professionals like you have earned Scrum master Certification till now. Certified Scrum Master is the cheerleaders within their team. You need to ensure that the team adheres to the scrum values and principles. You will collaborate with the customer, get their feedback and create incremental value. Scrum Masters are also known as Servant Leaders. You need to ensure that the team follows Scrum Principles and values. The customer can share their feedback. The team collaborates each other, and the Scrum Ceremonies are happening. Our two-day Scrum Master Certification Training in Hyderabad is led by an expert scrum trainer approved by scrum alliance. We introduce a fun way of implementing scrum which is 100% practical and no theory. Why is Scrum a Game Changer? The traditional method of project management is hurting you and your organization. IT projects have a history of costly failures. Some of these failures prove life-threatening for the organizations. The gap between business and IT is shrinking. The customer feedback cycle is getting shorter. You need to learn and adapt and stay ahead of the competition. Scrum fits perfectly with the modern IT project management needs. With Agile and Scrum, organizations have experienced a better success rate. 70% of professionals reported an improvement in their quality of work life with Scrum. Source – State of Scrum Report 2017-18. Are you struggling with a mid-life career crisis? It’s frustrating to feel that you are not moving forward despite all efforts. The hard work that you have put in to reach a certain position in your organization is going in vain. You feel pressure from the customer, seniors and peers alike. Learn the new way of leading teams in Certified Scrum Master Workshop. Learn the lead the change from the front. The role of a Scrum Master is both rewarding and satisfying. Scrum is not easy to implement. Most organization struggle with the change management. As a Certified Scrum Master, you demonstrate an understanding of the Scrum Framework. You will coach your team on Scrum and take them through the change. Certified Scrum Master is the Number one Choice among Scrum Certifications globally. 80% of Scrum Professionals Prefer CSM Certificate. Why and How to convince your management to start using Scrum. Your Role as a Scrum Master. Scrum Fundamentals – Values, Principles, Process, Ceremonies, Artifacts. Scrum Reports, Iterations and feedback process. Change management issues with Scrum and how to deal with them. We have a panel of experience CST, in 2017 alone we trained close to 5000 professionals in Agile and Scrum. All our CSTs have a rating of 4.5 or above with five being best from their class. It’s a practical Scrum Workshop – We want you to live the life of scrum master for two days. Experience all real-life problem and real-life scenarios that you will deal as scrum master. Get expert answers from our CST. Expert Agile Coach – It’s good to learn from someone who understand you. 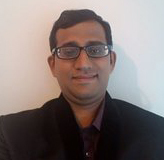 Our Trainer has 15 years of Experience coaching Agile teams in Hyderabad and around. You will be able to relate every example and case study he shares in the class. Moreover, he is fluent in Telegu (తెలుగు). Low on Cost, High on Value – It’s a value for money Scrum Workshop. Everything you learn, you can apply on your job as scrum master. Community Support – Scrum Alliance focuses on learning via community. You can learn a lot by sharing and by experience of others. We have a thriving Discuss Agile Scrum user group which supports your continuous learning needs. Interview Guide – Some Interview Questions are Tricky, others reflect your experience. We understand your first scrum break is very critical. We have designed a Scrum Interview Guide; our video answers to frequent Scrum interview questions. Continuous learning – Scrum Alliance stresses the need for continuous learning for scrum masters. We do tons of free webinars, live events, scrum and other agile workshops throughout the year. The topics of webinars and agile workshops are your real-life scrum problems. Personal Branding as a Scrum Master- The biggest job-hunting tips for Scrum Master is – Become Visible in the community. Share your knowledge via blogging, webinars, and workshops. We have platforms, motivation, support and everything that you need to grow as a Scrum Master. A career path in Scrum and Agile – Scrum Master is an entry level role. Once you are familiar with scrum and successfully implemented in few projects; you naturally aspire for the next level in the scrum. We help you design a career path of your choice inside agile and scrum to help you grow faster. Certified scrum master certificate from Scrum Alliance. Free Online Master Program on Agile, Scrum and Kanban. Lifetime membership of Discuss Agile community. Who Should Do Certified Scrum Master Training? iZenbridge has been conducting CSM training across India from last two years. Around 40% of people who do Scrum Certification are already working in Scrum. Rest around 20-25% are project managers or lead roles planning to transition to agile. A significant chunk consists of people who working in software development or testing. Scrum is not limited to IT projects only. Marketing, R&D, operational domains are also experimenting with Scrum. Software developers/QA/ Software testers etc. Q: What is covered in a two days CSM Workshop? When to use scrum – Project complexity and other determining factors. Q: How Do I Decide whether Certified Scrum Master training is appropriate for me? A: Scrum Master workshop is for anyone who wish to learn this new framework for project management. Most IT enterprises in India have already adopted Agile and Scrum, if you are working as an IT professional in companies like TCS, Wipro, IBM, Infosys, Sapient, HCL and other similar organizations, a great understanding of Agile and scrum and scrum master certificate can help you accelerate your career. Q: What is the cost of CSM Certification? A: The cost of scrum Certificate is $100, its included in the cost of workshop and needs to be paid by the trainer himself. Q: What is the process of getting certification? A: You need to attend 2 days Mandatory certification workshop, post that there would be an online exam. Q: What is the exam pattern for Certified Scrum Master exam? A: 35 Objective type questions based on the scrum guide. There is no negative marking and you get an hour to complete and submit this exam. Q: How many Attempts one gets to clear Scrum Master Exam? A: Scrum Alliance give you two attempts to clear the exam, if you are unable to clear in two attempts, you can pay and take one more attempt. Q: What is the passing percentage in CSM exam? A: Passing percentage is 65. 24 Answers should be correct out of 35. You get two attempts, and exam is based on the scrum guide and what is being taught in two days of classroom workshop. Q: Do you provide Job Assistance as well? Free Career Coaching- We organize one to one sessions with our trainer to help you design a career of your choice. These sessions are free and exclusive to our customers. Free PR and Networking Opportunities – You can write a blog on izenbridge or Discuss Agile portals. You can also contribute to our YouTube channel, be a speaker to our next scrum events in your city, take an online webinar which is broadcasted to our customers. All these activities are designed to create a personal brand which can make you visible; so that recruiters can spot you. Q: There are so many agile training institutes in Hyderabad, How are you different? A: We are unlike any other Agile institutes. We only work with a selected set of Agile Trainers, after registering you will receive great online content, constant grooming for your next level of career in Agile, lots of free consulting and coaching over the lifetime. The partial answer to this question is also covered in previous question. Q: Which companies are offering scrum master jobs in Hyderabad? A: Almost all IT companies are following scrum and looking for people who can join their scrum teams as Scrum Master, product owner or an Agile coach. If you develop a good working understanding of Agile and Scrum, getting a ScrumMasters role is not that difficult in Hyderabad. Typically IBM, TCS, Infosys and Cognizant are considered the best payers for Scrum Master profile in Hyderabad. Q: Do you provide a scrum master online Course as well? Kanban for software development teams – A free introductory program on Kanban. After going through this course, you can start implementing Scrumban, or Kanban for productivity in your scrum team, the course explains the kanban method thoroughly. Q: Do you have a Centre in Ameerpet? A: Our trainings mostly happen in Hotels, we keep scheduling batches close to Ameerpet and other IT hubs in Hyderabad. Q: Why is iZenbridge the best scrum master training in Hyderabad? A: We strive to create a great value for our CSM participants with lot of support and study material designed to give you an edge over your peers. Q: What Other Agile trainings do you offer in Hyderabad? A: iZenbridge offers host of Agile Training for IT professionals in all major cities of India. 100s of professionals benefit from our classroom working on Scaled Agile Framework, Agile Coaching, Kanban, Scrum Product Owner and Scrum Master workshops. Besides, we also offer online program on PMI ACP and PMP. Q: What Other Agile Scrum Certifications do you recommend? A:Agile and Scrum are ever growing fields, there are different level of Agile certification, you can choose them as you go up in your journey. CSM is considered to be a starting point in Agile. The next challenge is to get an active role in a scrum team or start a fresh implementation in your organization. In both the cases, you would need a particular set of skills such as facilitation, team building, servant leadership, communication along with a deeper understanding of the scrum philosophy. Though, we try to equip you with enough knowledge and understanding to lead implementation in your organization; getting a structured training in few areas is always helpful. SAFeAgilist Scaled Agile Academy Scaling agile and scrum to bigger teams, enterprise level. PMI-ACP PMI Understanding Agile from a project Manager’s point of view. Lead agile transformation in your team. ASM Scrum Alliance Next Level after your CSM certification. Takes you deeper in scrum framework. CSP Scrum Alliance CSP is like master’s degree in scrum. Kanban Lean Kanban University Kanban is an alternate framework of Agile. You can mix with scrum to create scrumban, leads the team towards better productivity. Q: How Do I Choose the best training for CSM in Hyderabad? A: There is no one parameter for choosing the best training. Primarily you should look at these factors while choosing a training provider. If you follow this process, you will be able to choose the best institute for CSM certification in Hyderabad. Do they help me design a certification path? We work with each participant to address their certification needs and design a path for them. Does your training provider give access to a community after the training? Yes, we have the most active and vibrant Scrum User group in Asia. This group is open to all our CSM participants. We have close to 5000 active members from India who regularly blog and connect with other participants in the group. Can they support me in meeting my future training needs? We have the most extensive agile product portfolio in India. All CSM customers get special prices when they join our other workshops in future. Do they provide some pre-training material? What kind of content is it? We will offer you an eLearning program approved by Scrum Alliance. You will also receive a Scrum guide when you enrol for this course. To broaden your spectrum of knowledge, we offer you free program on Agile mindset and Kanban as well. Do they provide career grooming? Getting a scrum role immediately after your training is critical for multiple reasons. You get to practice what your learned in class. Its helps you build the foundation of your agile career. iZenbridge works to strengthen your portfolio, we give you a 50 interview questions explained by an expert. We also have scrum quiz to help you score better in preselection tests. If you need help with your CV we can support you there as well. Besides, there are multiple communities which can support you in getting a role of scrum masters. All our participants are invited to join a private facebook group of Scrum masters in India. Can I reach knowledge experts from provider to clarify doubts Yes, you can do it via phone / mail / forum and in face to face events. Does the provider help in getting CSP (Certified Scrum Professional) Yes,We support you in getting next level of certification in scrum. We have support available till the level upto Certified Scrum Trainer. Do they have mock tests for CSM? iZenbridge offers you 50+ Short quizzes and two full length exams to practice for your scurm test. Q: Does your training cover agile methodology? A: Scrum is one of the framework under Agile methodology and its used by 80% companies who are using Agile. This is a focused training on Scrum and the role of a scrum master within a team. In order to develop a broader understanding of Agile, we give you a complimentary program on Agile mindset along with CSM package. If you need further understanding, you may explore our free program on Agile and Scrum which covers the agile methodology in detail. Q: How much each agile certification cost? A: Here is a list of certifications and its price. PMI ACP 9000 for online training and upto 14000 for classroom workshops. Certification cost is $495. Agile coaching The cost of an Agile coaching program is around 35000 including the cost of certification. Q: What is the average scrum master salary? Who are the best payers? A: A scrum master salary would vary according to the experience and profile. 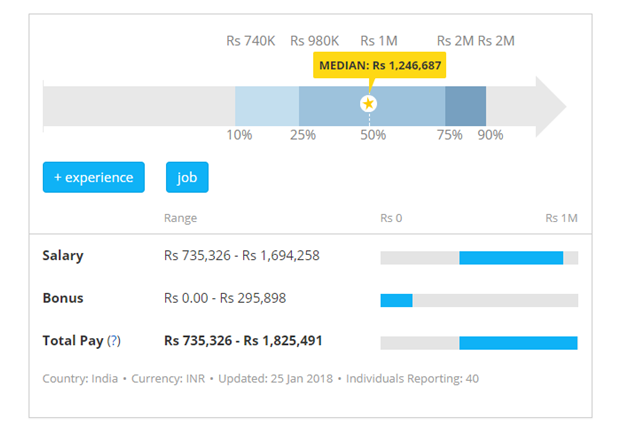 As per Payscale data, a scrum master median salary in Hyderabad is around 1115000 Indian Rupees. Q: How and where Do I access the scrum master interview questions? A: You can subscribe to our Scrum master interview guide. It’s a collection of top 50 questions asked in a scrum master interview. We have created short videos explaining the answers in an easy to understand format. Q: What is the difference between PMI ACP and Certified Scrum Master? Content focus Covers the entire Agile methodology including the frameworks like scurm, Kanban, extreme programming, TDD, BDD etc. Focuses only on Scrum and goes in depth in the role of a scrum master. Roles to expect after the certification Agile project Manager, Project manager, Agile delivery manager etc. Scrum master, Scrum coach, Agile Coach, Scrum team member, Scrum product owner etc. Cost Around INR 10000 for training and $495 for the certification Around 25-28000 INR for both training and certification. Q: Can I do certified scrum master certification online? A: CSM is a classroom workshop. Time and again, Scrum Alliance has reiterated the importance it gives to a face to face interaction. Its mandatory to attend a two-day training facilitated by a CST, only they have the authority to register on for the CSM exam after you have completed the training. There is no way to bypass this rule, additionally you learn a lot by interacting with the fellow participants which is not possible in an online world. Q: Do you provide CSM certification dumps? How will I clear the exam? A: We offer you close to 50 Scrum Quizzes which are free and comprehensive. You can practice with these quizzes before going for the actual exam. Typically, our CSM participants score close to 90% or more in their exams and we have a 100% pass record. Q: Which Agile Certification is best and why? A: This is a subjective question. There is no clear one answer which can satisfy you. If you go by the rate of adoption, Scrum is used by our 70% companies for developing their complex IT projects. The latest state of scrum report suggests that 64% of the companies who are using agile recommend CSM or CSPO certificate to their professionals. PMI ACP and Scaled Agile Frameworks are also widely adopted in IT Industry, if you have plans to continue in scrum and create a successful career for yourself, then choosing multiple certificate is important. That is the reason why we help you create a career roadmap, and suggest certificates which can help you in your career as you go up in the ladder. Typically, a Certified Scrum master certificated coupled with the Scaled Agile and Agile coaching works best in Indian IT Industry. Q: How much is csm certification cost? Is there any cost breakup? A: A certified Scrum master workshop costs somewhere in the range of 24000-30000, depending on the provider. The cost of certification is included in the workshop and its collected by the trainer only. The fee is deposited by the trainer when they submitted your attendance for the two days CSM workshop. The certificate comes with a two-year validity, after that you need to renew it by paying USD 100 for another two years. Two year membership of scrum Alliance is also included in this cost. Community support in India Yes, an Engaged Scrum Community Not a large community yet. Have been struggling to get a satisfying scrum job? On an average, a recruiter gets more than 100 qualified applications for a Scrum Master profile in first 10 days of publishing the job. Needless to say, the competition is tough and a recruiter has a tough job to find the right scrum master for his open positions. 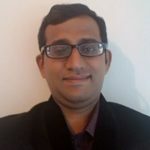 In this comprehensive scrum interview questions video guide, we have covered Top 50 Questions asked in a scrum interview, these questions are answered by Saket Bansal in a video. How Is Scrum Master Role Different From Project Manager? How do you measure the maturity of your scrum process? What metrics do you collect and why? Share the retrospective action you have taken and what was the outcome? How do story points work? How would you introduce scrum to senior executives? What would you do if your team is not interested in scrum ceremonies?